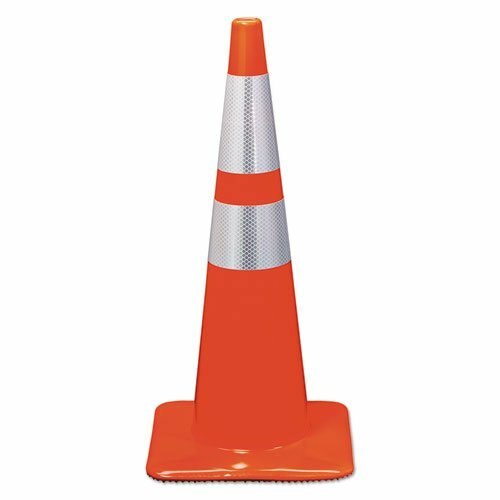 Sturdy safety cones are constructed of extra-heavy PVC with a white liner and rugged base. Long-lasting brilliant fluorescent color and Scotchlite reflective material ensure easy visibility, even from a distance. Use for traffic safety and control, construction sites, hazard marking, sports and a variety of other applications. Width: 12 3/4quot; Depth: 12 3/4quot; Height: 28quot; Materials: PVC.